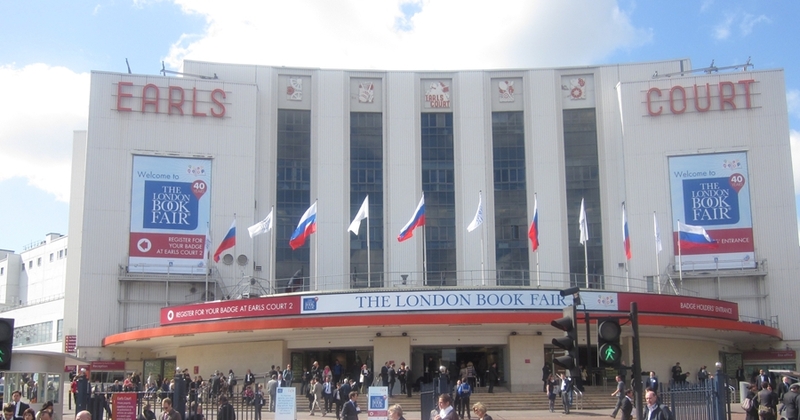 It was great to be back in the vacinity of those May daze of 1975 this week when a visit to the London Trade Book Fair took me back to Earls Court. Coming out of the tube and seeing that grand old building come into view is like catching up on some much missed distant relation. It will be a shame of this monument to so many historic occasions is allowed to disappear under the bulldozer in the name of so called progress. I was at the fair with my good friends Dec (who is looking at getting his excellent New Order book to a wider market) and Jerry (Wymer publishing proprietor with Frank Zappa, Steve Hackett and various Deep Purple related books etc to push). I initially thought this occasion was bringing Dec and I back to Earls Court for the first time since the evening of May 24th 1975 – then Dec rightly corrected me recalling we were last here together on July 1st 1978 to see David Bowie on the Stage tour in 1978 (very good it was too). 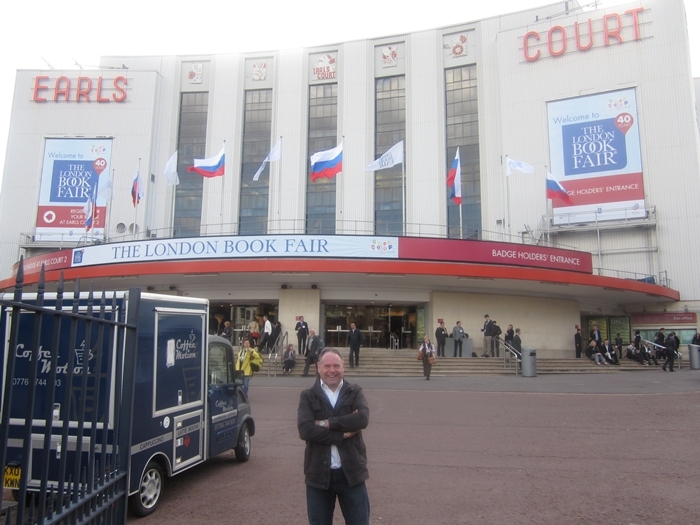 The trade fair itself was well busy with a host of publishers showcasing their product. It was good to see the folks at Omnibus Press who used the occasion to stage an afternoon press launch for their new Bob Dylan title No Direction Home by Robert Shelton – the acclaimed biography newly updated by Elizabeth Thomson and Patrick Humphries. I had a chat with Patrick who’s work on various Nick Drake, Fairport, Richard Thompson books and more I’ve long admired. He knows a fair bit of Zep too. As does the esteemed Chris Charlesworth who was there with his with wife Lisa. I reminded Lisa that it was all of 20 years ago that she had been involved in the design of my Led Zeppelin A Celebration book. I also caught up with Dave Brolan the picture editor of the Jimmy Page Genesis book. Amongst the new titles on show from Omnibus was the new superb biography of The Faces written by Andy Neil – notable Who expert and recent archive producer for the Robert Plant By Myself documentary – and while we are on that subject- the Robert Plant night of programmes first aired back in November are being re-shown on tonight on BBC4 . All this talk of queuing and record shops brings us nicely around to World Record Store Day which is happening tomorrow. This is the now well established day that independent record shops the world over celebrate their importance as key outlets for the distribution and selling of music. Much has been written in recent times about the diminishing role of record shops (not least in Graham Jones excellent book Last Shop Standing) – hundreds of stores have closed their doors in the last few years buckling under the threat of downloading, supermarkets and increasing rents. I of course have first hand experience of this having been a victim of the Zavvi closure. I spent many a happy year working behind the counter of various record outlets (from October 1974 to February 2009 I worked in W.H Smith, Sound Affects, Music Market, Our Price, V.Shop, Virgin Megastore and Zavvi) so it’s encouraging to see such an effort being made to promote all that is good about independent record shops. Big chain record stores are fast becoming a thing of the past with only HMV hanging in there but there are still some fantastic little outlets keeping the flag very much flying and by all accounts many of these stores are now thriving again. I personally love visiting the excellent Fopp store in Charring Cross and the JB’s record shop in Hanway Court just off Oxford Street in London. This year’s event will again see various live is store performance at independent shops and the limited availability of a series of rare limited edition vinyl one off releases including singles and albums from Jimi Hendrix, The Rolling Stones, Queen, Sandy Denny, New Order, Roxy Music, Kate Bush,Foo Fighters and many more. There’s also a hive of activity going on in America for the event. I’d be interested to hear your experiences both in the Uk and US of visiting participating stores on the day and the limited editions you snapped up etc. 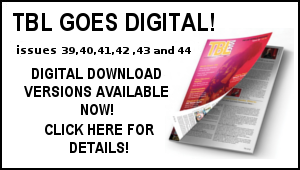 It’s been another very busy week here –the final stages of the Over Europe book have proved somewhat difficult with various issues to sort – TBL 29 is underway and as you can see by the preview of the cover it’s another packed affair (don’t miss out –subscribe now!). Our Sam is coming back home later today for a couple of weeks as she’s undertaking some work experience at the Independent newspaper. Yesterday I made a lightening visit to London to conduct an interview for TBL 29 with Glenn Hughes. He was on fantastic form and on a first listen, the forthcoming Black Country Communion album revealed some epic performances not least the outstanding track Save Me. More on all of this soon. Love the pic of the Our Price window – takes me back to my 6 week stint as an Xmas temp that set me on a career parh for a decade. Wasn’t the Sound Affects brand called Sound FX? well it was the 80s! 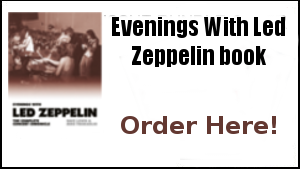 Great to see you’re still keeping the torch alight for Led Zep. 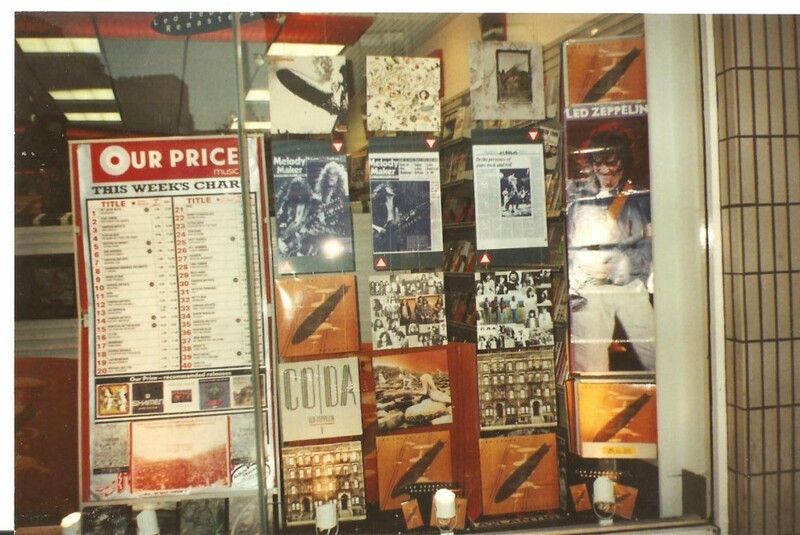 Love the old Our Price window photo – nothing beats a good record shop. I made a mistake — the Festival Hall stopped service by the end of 2008, not 2009. Below is the corrected version. Just a quick note to tell you all — here in Osaka, the Festival Hall stopped service by the end of 2008. Once the scene of some of Led Zeppelin’s finest ever live performances, the elegant 3000 seater was a synonym for the group for us local fans. Now it is decided to be demolished in the name of so called redevelopment — sounds familiar? Contrary to the popular belief outside of Japan, the Festival Hall and the Koseinenkin Kaikan are not the same, they are two different venues, the latter being a theatre with 2400 seats — please take notice. Just a quick note to tell you all — here in Osaka, the Festival Hall stopped service by the end of 2009. 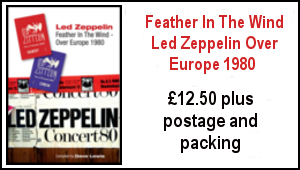 Once the scene of some of Led Zeppelin’s finest ever live performances, the elegant 3000 seater was a synonym for the group for us local fans. Now it is decided to be demolished in the name of so called redevelopment — sounds familiar? Dave – great picture, it’s very sad to see beloved buildings such as Earls Court being destroyed. Too bad it couldn’t have been designated a historic site? I suppose to the UK, Earls Court can’t compete with centuries old buildings and historic treasures such as Stonehenge. I have no problem with progress as long as history is respected. I like the window decorations at the record store, very nice. Its great to see these photos of Earls Court as well as yourself standing right in front. 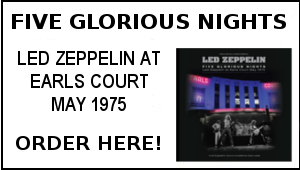 Every time I hear the name Earls Court I think of those five fabulous evenings in 1975. I actually apply Zeppelin name to EC all the time as well. Superb window display in the music store. Have fun at Record Store Day. No Blimp releases but lots of other stuff to pick and choose from. Maybe next year they will reissue Led Zeppelin I on purple swirl vinyl? Or maybe Physical Graffiti on graffiti colored picture discs. Wouldn’t that be cool? I will be spending Record Store Day at the Newbury Comics Boston locations. One last note: Dave Lewis looks as young now as he did at the 1979 Knebworth show. It seems the only difference from then to now was his hair length.